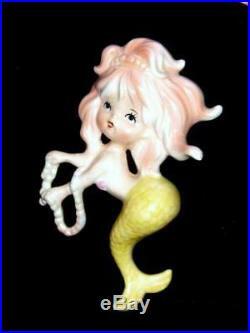 Vintage Ceramic MERMAID w/Pearls Bathroom Art Wall Plaque/Hanging label/numbered. 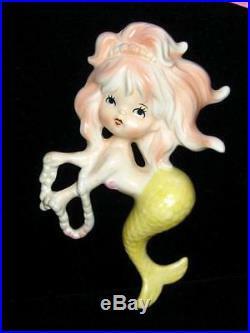 Charming Vintage Ceramic Mermaid Figurine adorable detailed face with blue eyes, rosy cheeks and lips, holding a strand of pearls. 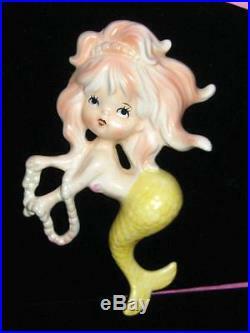 Measures: 6" x 4" widest point Condition: Very Good Vintage Condition with No chips, cracks or crazing. 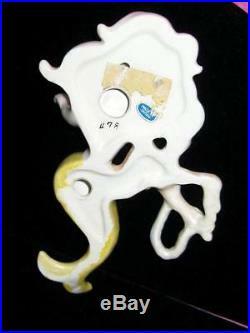 Marked as shown, Japan label dating c.
Please wait to be invoiced first! WE TAKE THE OUTMOST CARE IN PACKING EVERY ITEM WE SELL! We can rectify any mistakes we may have made.. GREAT CUSTOMER SERVICE IS OUR #1 PRIORITY! 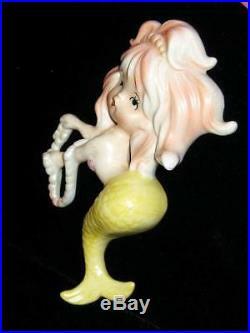 Certain images/photos incorporated into this template are the royalty free property of Karen's Whimsy Public Domain Images. Create listings that get noticed! With Auctiva's 1,800+ Templates. 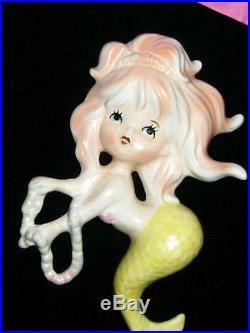 The item "Vintage Ceramic MERMAID withPearls Bathroom Art Wall Plaque/Hanging label/numbered" is in sale since Tuesday, September 12, 2017.